From superstar entertainer John Cena comes a new picture-book about perseverance and believing in yourself, featuring a little monster truck named Elbow Grease! 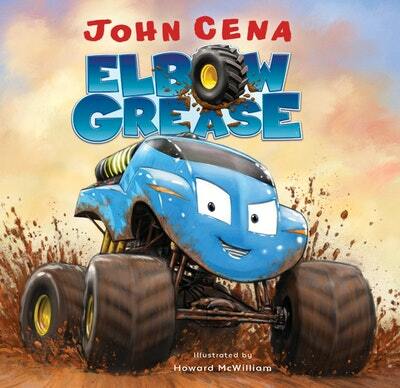 From multi-talented mega celebrity John Cena comes this exciting story about the importance of believing in yourself and never giving up. Full of high-octane illustrations and a new character kids will cheer for, this fun and fast-paced book proves that a little Elbow Grease . . . can go a long way! Meet Elbow Grease, a little monster truck with a big problem! He’s smaller than his four brothers, but wants to prove that he has the guts and the grit to do big things. He decides that entering the Demolition Derby is the perfect way to show everyone that what he lacks in horsepower he makes up for in gumption. Love Elbow Grease? Subscribe to Read More to find out about similar books.